Buderim is well known as the Garden Suburb of the Sunshine Coast, everything grows well in the red soil of the fertile slopes. Once covered in orchards and farms, now everyone with a green thumb can create a brilliant Australian garden. Buderim has some outstanding gardens. 6 of them will be on display over the Festival weekend. The Festival also includes a Spring Flower show, specialist exhibits, and plant trade stalls. Sunshine Coast sculptors will present an exhibition and sale of hand-crafted ceramic sculpture, much of it designed for gardens. Spring Flower Show will be in the BWMCA Hall, with Specialist Plant Growers both inside the hall and outside in the grounds as well, selling Herbs, Begonias, Orchids, Staghorns, Ferns, Roses, Hibiscus, Succulents and Cacti, Bromeliads. There will also be Workshops in the grounds both days as well as a Monster Garden Sale. In the Maroochy Botanical Gardens at Tanewha, a 5-minute drive from Buderim, the Sunshine Coast Concert Band will present a concert from 2pm on Sunday 11th September. The stars come out to play at the forthcoming annual Sunshine Coast Theatre Festival at Buderim. Among those groups coming to the coast to participate in the popular festival, are Brisbane Arts Theatre, Excalibur Theatre Co, Golden Glove Productions (Brisbane), Dalby Players Theatre, Ipswich Little Theatre, and King Street Players, as well as local groups such as Noosa Arts Theatre, BATS Theatre Co., Caloundra Chorale & Theatre Co., SAD Productions and Random Acts. 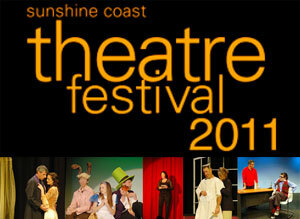 The annual 3 days event, presented by the Sunshine Coast Theatre Alliance, offers 22 short plays, over 3 days! A marathon of live theatre action! There are several award-winning plays appearing at the festival including the comedy Nothing which took home the Best Play award at the 2011 National One-Act Playwriting Competition at Noosa Arts Theatre, and God Goes to a Shrink, which has been winning accolades at other festivals this year. There is something for everyone and a festival pass will cost you just $35 (for access to ALL sessions). A nine day festival of guided walks, competitions, community and cultural events that celebrates the natural beauty of the Sunshine Coast Hinterland, healthy activity and showcases local attractions. The festival will run from August 19 - 28 after the official opening and award presentation of the "People on Walks" Sunshine Coast Walks Festival Photographic Competition on Friday evening at Flaxton Gardens 5.30 to 7.30pm 19th August 2011. The absolute beauty and charm of the Sunshine Coast Hinterland offers visitors the opportunity to experience a magnificent selection of rainforest and mountain walks, ranging from easy to strenuous, from 20 minute strolls to walks of several days. Experience some of the range's most scenic areas: warm subtropical rainforest, tall open eucalypt forest and picturesque waterfalls. Island Charity Swim, is preparing for its eleventh year of fundraising for the region’s two special schools, at Currimundi and Nambour as many swim teams begin training. This year’s swim will take place on Saturday 13 August, leaving Mudjimba Beach in the early hours of the morning with most swimmers arriving at Mooloolaba Beach mid-morning to a big community welcome. 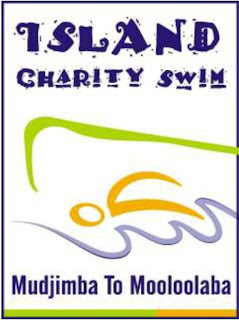 The annual Island Charity Swim is an 11km open ocean swim and each year approximately 100 participants complete the course over several hours from Mudjimba beach, around Old Woman Island, and back to shore at Mooloolaba beach. To date the event has raised almost a million dollars for funding equipment and student programs and the 2011 event is expected to be another record year for participants. Individuals and teams can take part and are invited to contact the volunteer committee now to register. The fundraising goal for this year is $10,000 for special needs equipment for both schools.